Black waisted trouser legging in firm stretch fabric. Side front panel has ruches in black chiffon fabric. Back leg stitch detail running up the leg. 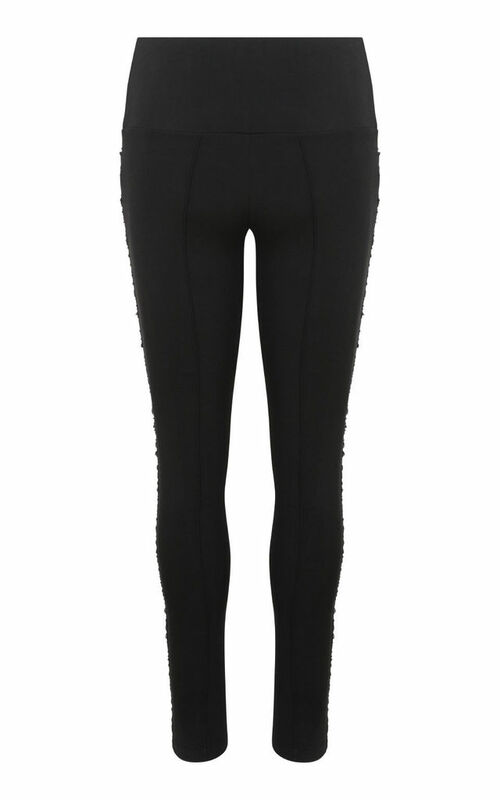 The firm stretch fabric holds you in so when you wear them they feel great.